We began with two things; a 15-acre plot, and a belief. A belief that we could create an organic farm in the heart of the community - open to all - that would re-connect people with the land, their food, and the seasons. Some 500 locals invested in our vision. Customers signed-up to support our veg box scheme. Volunteers placed their hands in our soil and planted, and picked. And then the wildlife came. We began with bare fields, and built a community. The Community Farm. Seven years on, we're still here and growing at our special spot overlooking Chew Valley Lake, near Bristol. Our equipment has served us well, but much of it now needs replacing. We need to raise £20,000 to pay for some key pieces of kit so we can continue working the land, and making a difference. 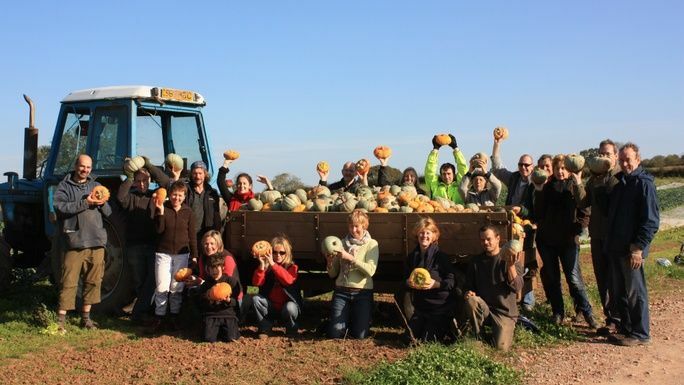 The Community Farm is a social enterprise. Profits from produce sold provide hands-on learning experiences for local children, adults and vulnerable people. We offer school visits, volunteering opportunities, away days and workshops. And we’re a valued employer to more than 20 part-time staff. We’re just so proud of the positive work we do. And 62 people volunteered, giving 646 days of work. That's 3,876 hours! We’ve been overwhelmed by the generosity of our partners and friends of The Farm who’ve donated brilliant offers to boost our fundraiser. Take a look at the rewards on offer and treat yourself, while helping us. Thank you, in advance, for your support. Please give what you can. Spread the word about our fundraiser, and our work. If you want to be kept up to date with campaign progress, please opt into communications from The Community Farm when you donate (N.B. this will not add you to our marketing database). And come and visit us soon. Our gates are always open! Through organic farming we support our local community; putting people and the environment first. Be part of our future, making positive change together. 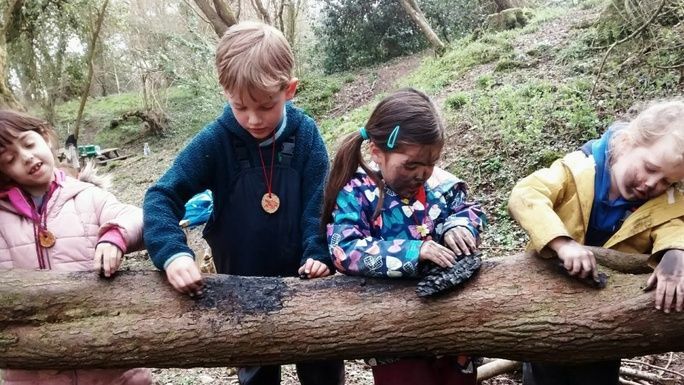 Earthwise aims to get more children outdoors and re-connected with food, farming and the natural world. Founder Claire has kindly offered £15 off any Earthwise event. Upcoming events include a two days of Half-term Forest Fun and a Family Christmas Craft day at The Community Farm. Find out more at www.getearthwise.co.uk. The discount is valid until 30th September 2019 and can only be used once. 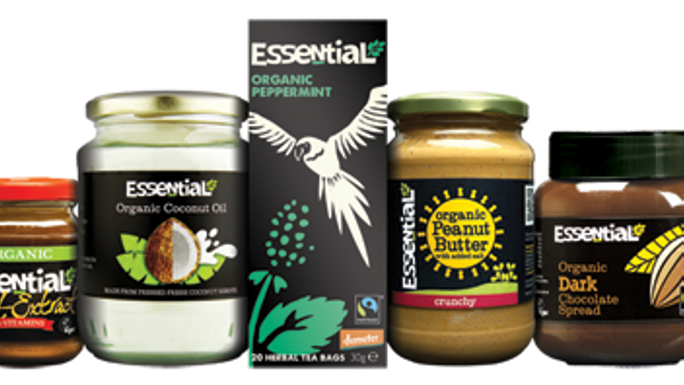 Essential Trading, who offer organic and Fairtrade wholefoods, have kindly donated 5 small hampers of store cupboard goodies, including herbal tea, chocolate spread and coconut milk. Recipe card and tote bag also included. 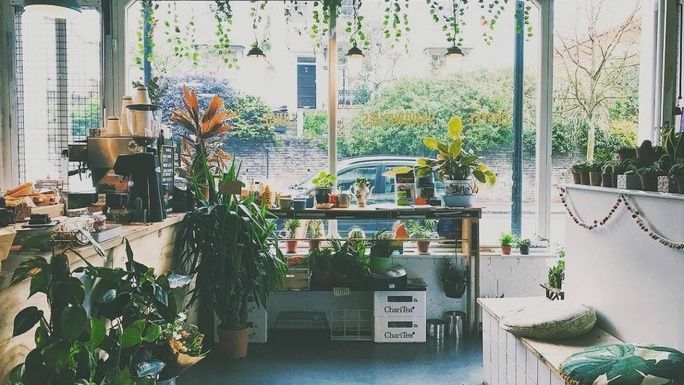 £30 Voucher for Emmeline, Bristol - offering coffee, salads, juice, cakes, plants & gifts! Emmeline is an independent business, offering delicious coffee, cakes and healthy lunches on Stokes Croft in Bristol. They also sell plants, flowers and other gifts. 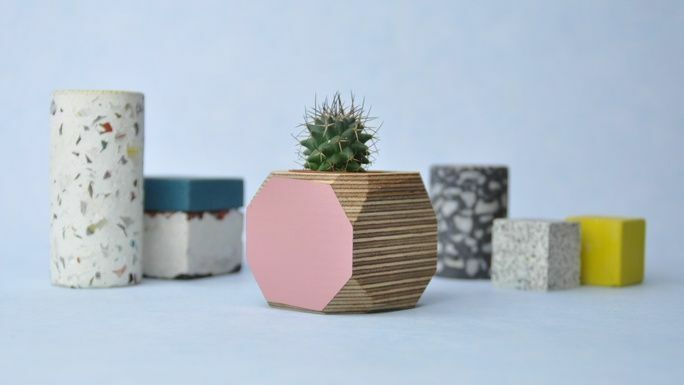 To celebrate their re-opening in 2019, treat yourself to £30 worth of their delightful wares. Voucher valid from 1st January 2019. Est. Delivery Date: Voucher valid from 1st January 2019, donor will be contacted within 2 weeks of purchase. 6 aerobics classes with 'Dance Intensity', a dance/aerobics combo for all abilities. Wednesdays 6:15-7:15pm at The Southville Centre, Bristol, BS3 1QG. Classes incorporate a combination of dance, combat and classic aerobics moves followed by conditioning, stretches and relaxation. No previous dance/aerobics experience necessary. A special offer from Bristol writer Joanna Bennett including her book, Swimming Underwater, a collection of poems and five poem postcards written in the early hours. 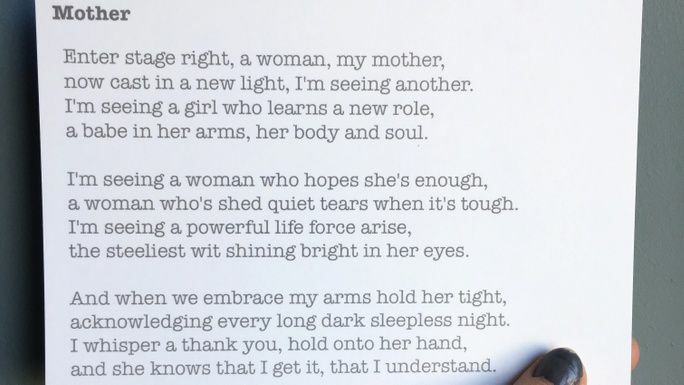 The Tatterhood poem postcards include her bestseller ‘Mother’, alongside favourites ‘Bones’, ‘Tides’, ‘Dial Up’ and ‘Curtain Call’ (face value £37.99). 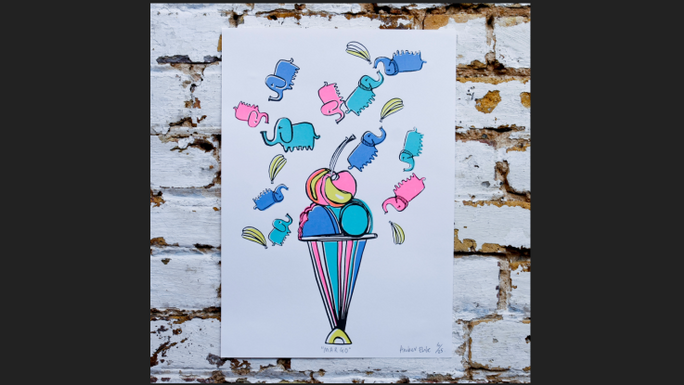 Six colour limited edition of 25, screen printed by Amber Elise in London, this colourful creation will bring some fun to any room! 6 colour screen print. A3 (297mm x 210mm), printed on 220gsm fine art paper using water based inks. 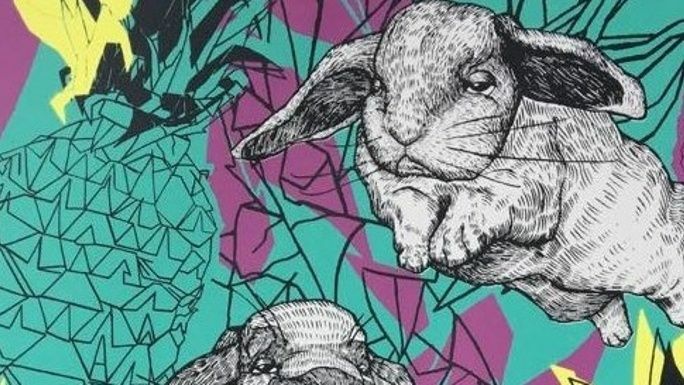 Amber Elise is an illustrator living in London - creating bright, bold and colourful designs, she brings these to life through screen printing and hand painted murals. EcoWild aims to engage people with the natural environment. 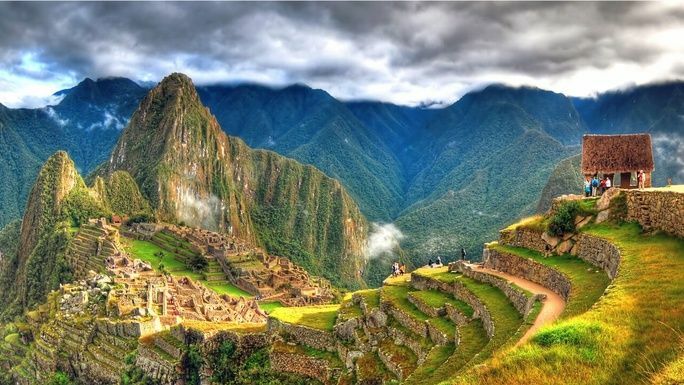 This personal wellbeing course aims to develop and deepen your interconnection with nature, further your clarity of mind and purpose using Mindfulness, Movement and Deep Ecology. The course encompasses practices such as Qi Gong and meditation within the beautiful setting of The Community Farm, all the while being nourished by the view, food and drinks and comfort. www.ecowild.co.uk This perk is valid for a place for 1 person at a discount of 30% on the public price. The course will run fortnightly from Sunday 3rd February – 31st March 2019, 10 – 4pm. Est. Delivery Date: The course will run fortnightly from Sunday 3rd February – 31st March 2019, 10 – 4pm. Details of how to book will be provided within 2 weeks of purchase. Space 238 studio on Stapleton Road in Bristol offers a range of yoga classes. They also have a lovely café, serving teas, coffees, delicious savoury snacks and mind-blowing vegan cakes! With this voucher you can enjoy their wares - as a post yoga class treat, or just because you deserve it! 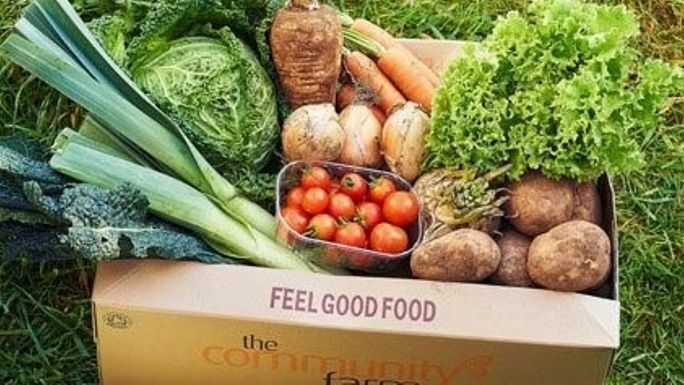 Receive one of our delightful, varied veg boxes, weekly for 5 weeks, at a generous discount! Choose from Veg No Plastic (Large), Gert British (Large), Veg No Potatoes (Large), Veg Variety (Large). Please note that we deliver to the area around Bristol, Bath & the Chew Valley. You can check if your postcode is covered on our website homepage: www.thecommunityfarm.co.uk. You will need to create an account with us in order to redeem this reward. Receive one of our bountiful Just Fruits boxes (large size), weekly for 5 weeks, at a discounted rate. Please note that we deliver to the area around Bristol, Bath & the Chew Valley. You can check if your postcode is covered on our website homepage: www.thecommunityfarm.co.uk. You will need to create an account with us in order to redeem this reward. 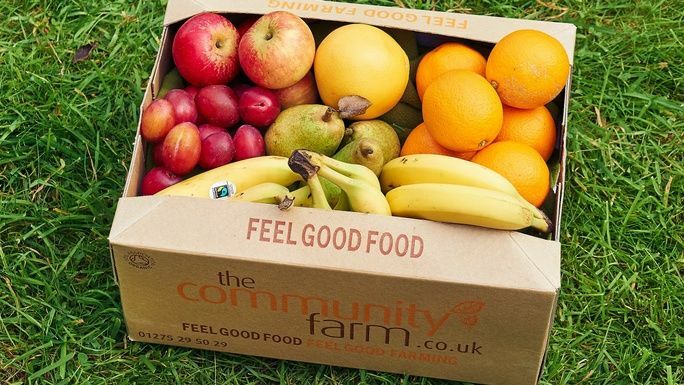 Donate £15 and we will send you one of our delicious, Just Fruits box (smaller size) as a thank you. Please note that we deliver to the area around Bristol, Bath & the Chew Valley. You can check if your postcode is covered on our website homepage: www.thecommunityfarm.co.uk. You will need to create an account with us in order to redeem this reward. 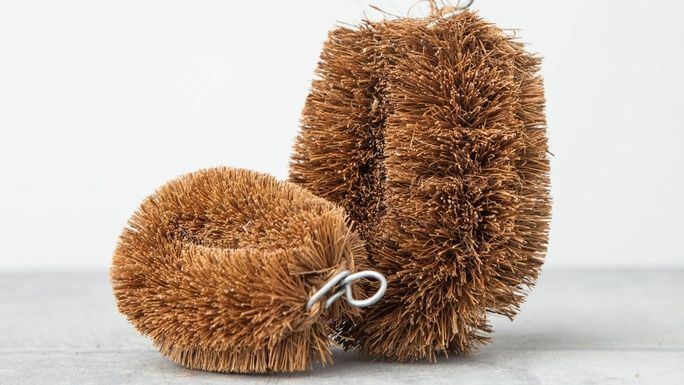 £5 Free vegetable scrubber when you sign up with us! £400 Have a field day – on us! Experience a group day out at The Farm for up to 15 people. Learn about organic, nature-friendly farming. Pick crops, fresh from the field. Cook homemade pizzas in our outdoor cob oven. Feast together in our yurt and enjoy unrivalled views of Chew Valley Lake. Experienced growers will be on hand throughout this very special day. 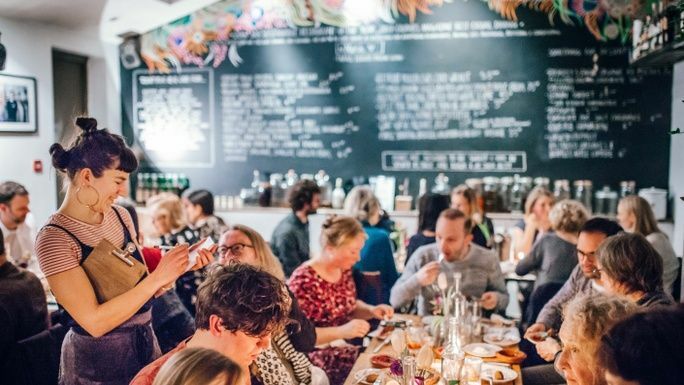 Enjoy a meal at Root, Bristol, a small plates restaurant that gives vegetables star billing and serves meat on the side. Root recently won a prestigious Bib Gourmand award from Michelin, recognising exceptional food at moderate prices (voucher for £50 spend). Bag yourself and a friend entry to this fabulous festival. 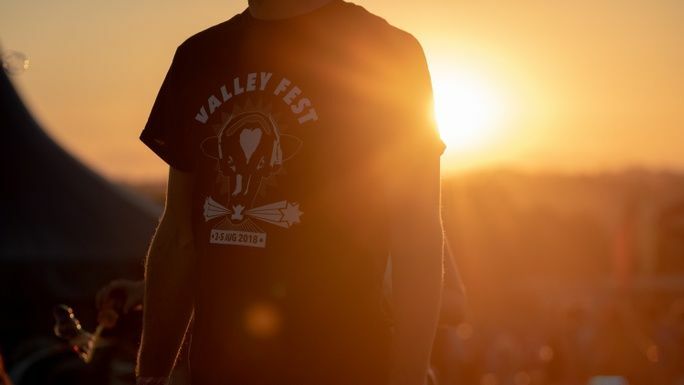 Held in the Chew Valley countryside just outside Bristol, it promises to be a weekend of great music, good food and glittering entertainment! 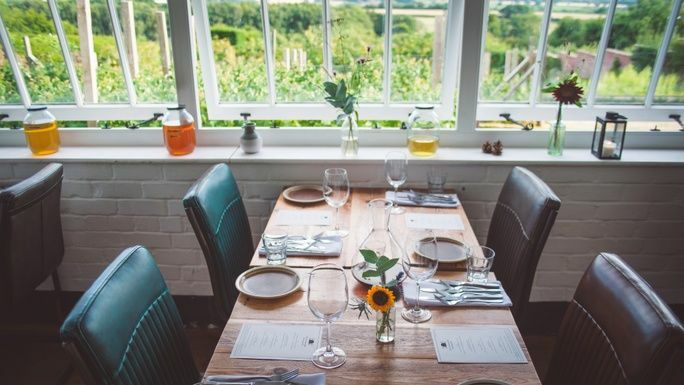 The Ethicurean Restaurant is tucked away in a Victorian walled garden with expansive views of the Mendip hills in Somerset. This forward thinking, sustainable restaurant serves exceptional food with seasonal, daily changing menus. Enjoy a 3 course lunch for 2 people (excluding drinks). Face value approximately £80. Valid until end of April 2019. Must be claimed in one transaction, i.e. the two lunches must be claimed together at the same time. 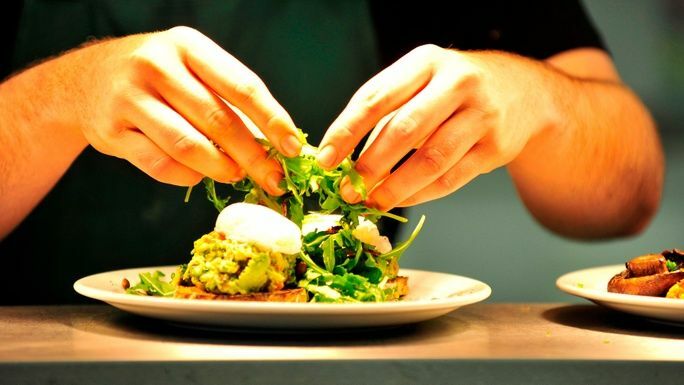 Enjoy a delicious meal for two at the award-winning Poco Tapas Bar in Bristol (valued at £50). Poco serves seasonal tapas, brunch and lunch, using locally sourced ingredients and has won awards for it sustainability ethos. 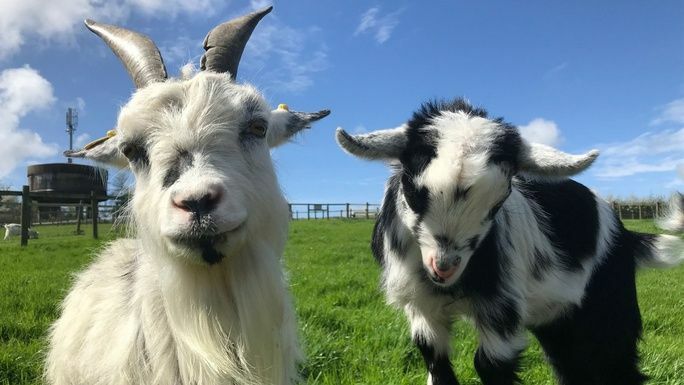 Enjoy a family day out at Chew Valley Animal Park, with a large variety of animals which you can get up close and personal with, including: wallabies, baby rabbits, guinea pigs, chicks and even hedgehogs! Meet and hand feed pygmy goats and maybe even cuddle a piglet. Valid for 2 adults and 2 children, until end October 2019. 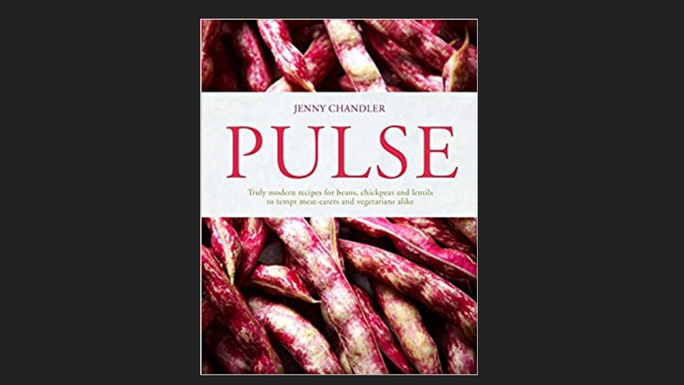 Bristol-based food writer Jenny Chandler has kindly donated 5 copies of her brilliant book Pulse, a collection of fabulous, modern recipes for beans, chickpeas and lentils. Guaranteed to tempt meat-eaters and vegetarians alike! Enjoy a year's membership of our loyalty scheme at a discounted rate. 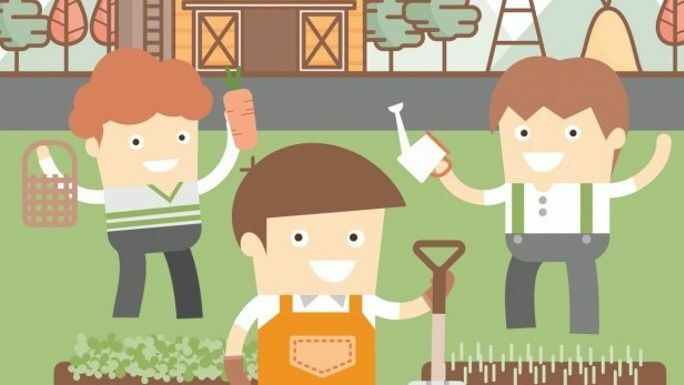 The Carrot Club entitles you to a 10% discount on box orders, workshops and children’s activities. 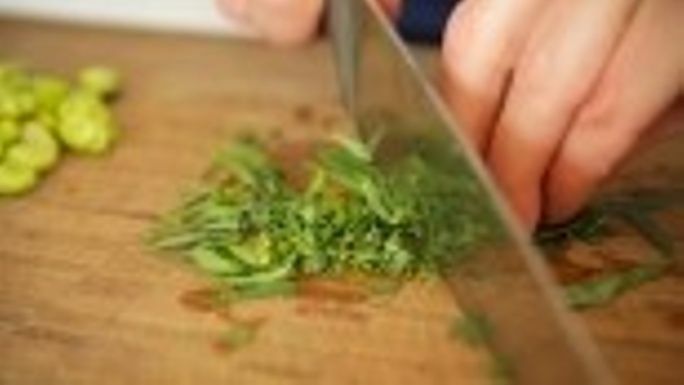 Run by one of the UK's leading plant-based chefs, Rachel Demuth, the cookery school offers a huge range of evening courses to choose from including Indian Street food, Korean cookery, 30 minute suppers and knife skills (face value £75). 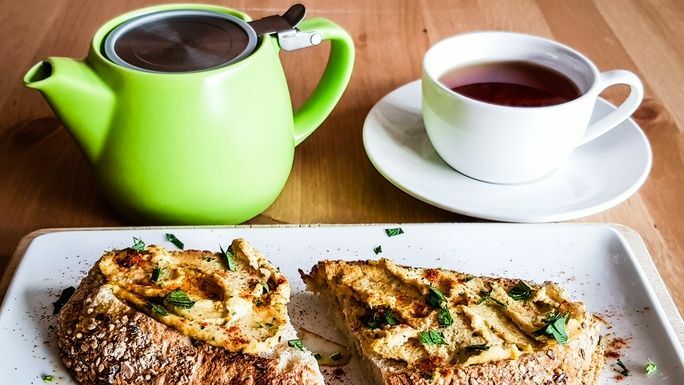 Enjoy a mouth-watering brunch for two at any one of Better Food's Bristol outlets (face value £25). £120 Hire Our Yurt for the Day! Enjoy full use of our yurt and facilities for up to 15 people. This amazing venue could be yours for up to seven hours. It’s perfect for meetings, corporate away days, local groups (gardening, wildlife organisations, the WI) or for family and friends to get together and share some quality time in this special spot in the heart of the Chew Valley. American author Wendell Berry, has been described by Andrew Marr as being 'unlike anybody else writing today'. His book The World-Ending Fire reflects his life spent farming the fields of rural Kentucky and his intimate knowledge of the land cultivated by this work. Arbonne have been creating botanical, vegan, cruelty free formulas for the past 38 years. 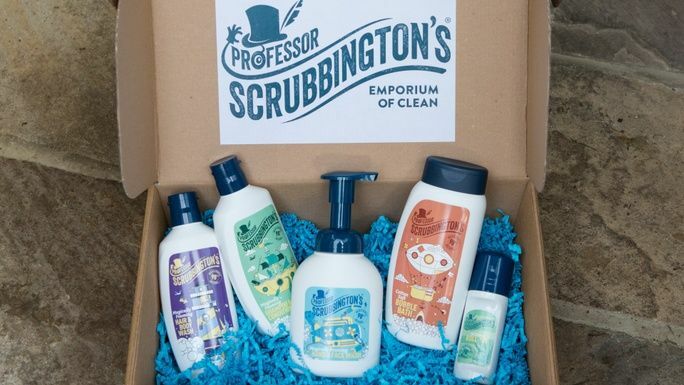 They are a carbon neutral company who focus on sustainable ingredients and procurement. Arbonne luxurious spiced vanilla and chai hand care duo. Rich, creamy and moisturizing, this powerful duo replenishes your skin with just the right amount of hydration. Includes Hand Lotion and Hand Wash. Paired in a sleek, water-resistant bamboo holder for your counter area or sink. Enjoy a day out at this beautiful garden filled with a huge diversity of plants, including many exotic species set in inspirational displays against the backdrop of a striking Victorian house. 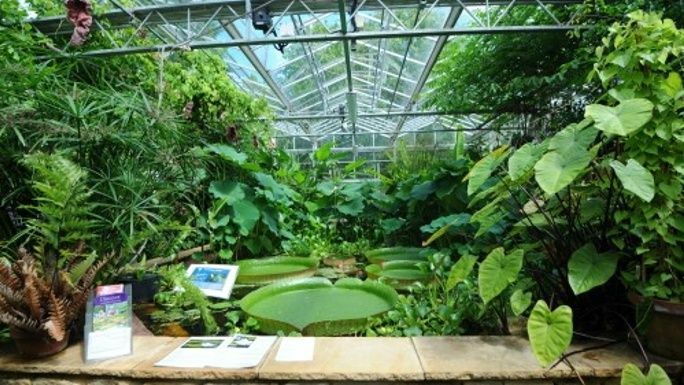 The large glasshouses showcase many exotic plants including cacti, orchids, carnivorous plants and giant Amazon water lilies. Valid until the end of December 2019. Est. Delivery Date: Donor will be contacted within 2 weeks of purchase. Enjoy a two course Sunday lunch for 2 people at Yurt Lush. Set in the heart of Bristol, the menu at Yurt Lush is designed by Head Chef Oscar Davis alongside Josh Eggleton, Chef Patron from The Pony & Trap and sourced from sustainable ingredients from the South West. Valid until December 2019. Stretch & Flow Yoga is a dynamic vinyasa flow class through physical yoga postures along with breath awareness, with a focus on core strengthening and alignment. Welcoming all levels, this class is challenging yet light-hearted and will leave your body feeling energised and your mind relaxed. Held at Space 238 on Stapleton Road, Bristol BS5. Valid for 6 months from the first class. Fun on The Farm for four! 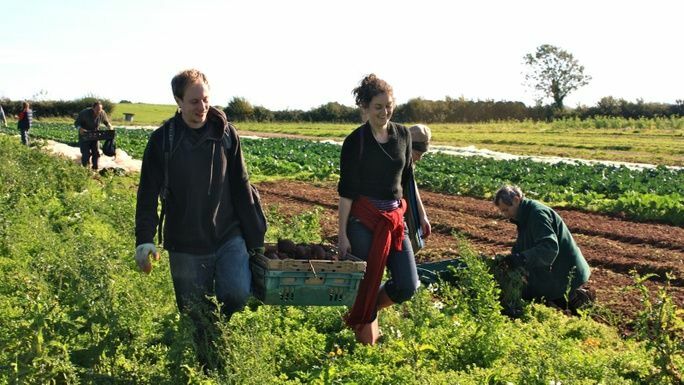 We're offering four friends, four colleagues, or a family group, the chance to experience farming together, first hand. Deepen your understanding of organic, nature-friendly farming. Pick crops from the field and cook homemade pizzas in our outdoor cob oven. Feast in our yurt and enjoy unrivalled views of Chew Valley Lake. Expert growers will be on hand throughout, as you enjoy this learning experience together. Est. Delivery Date: This will be held on 24th May 2019. Please note that a minimum of 4 people need to book onto this date in order for it to go ahead. If minimum booking numbers are not reached, we will contact you with new dates. Come along with a friend, family member or partner and experience 100% organic, nature-friendly farming first hand. You'll be guided throughout the day by our expert staff. You'll pick crops and then use the fresh ingredients to cook homemade pizzas in our outdoor cob oven. Enjoy lunch in the yurt, or if the weather's fine, a pizza picnic in our Festival Field, with fabulous views of Chew Valley Lake. An unforgettable day. Experience 100% organic, nature-friendly farming first hand. You'll be guided throughout the day by our expert staff. You'll pick crops and then use the fresh ingredients to cook homemade pizzas in our outdoor cob oven. Enjoy lunch in the yurt, or if the weather's fine, a pizza picnic in our Festival Field, with fabulous views of Chew Valley Lake. An unforgettable day. Ticket valid for 1 person. Est. Delivery Date: This will be held on 15th June 2019. Please note that a minimum of 4 people need to book onto this date in order for it to go ahead. If minimum booking numbers are not reached, we will contact you with new dates. * £7,100 in offline donations included in total.